Amaranth grains are very small like yellow mustard seeds but the similarity ends there. They pop up when roasted dry and get nice and smooth when boiled with water or milk. The Flour made from Amaranth seeds makes nice flat breads and pancakes. It is a grain most of us UPites grew up eating. My memories are of the Ramdane ka laddoo we always had at our grandparent's place during our summer vacations. The same Ramdaana ka laddoo is available even now, at least in Delhi, but somehow I never get the same taste. Is it the childhood charm of memories? Nostalgia is always sweeter when it is food related. Yes it is. The laddoo are very light and melt in the mouth texture. Very lightly sweetened with jaggery and can be eaten as a snack or as a breakfast porridge. When you put them in hot milk they just seem to melt in it and a nice smooth and light porridge is ready. It is a very nice baby food also. The second way to make a breakfast porridge is to boil the raw Amaranth grains with water, either in a pan or in pressure cooker. In a pan it takes about 25 minutes to get soft and cooked. In pressure cooker just one whistle is all you need. Water required for cooking the grains is double the volume of grains. Add milk once the grains are boiled. You might like to add fresh cream as well. 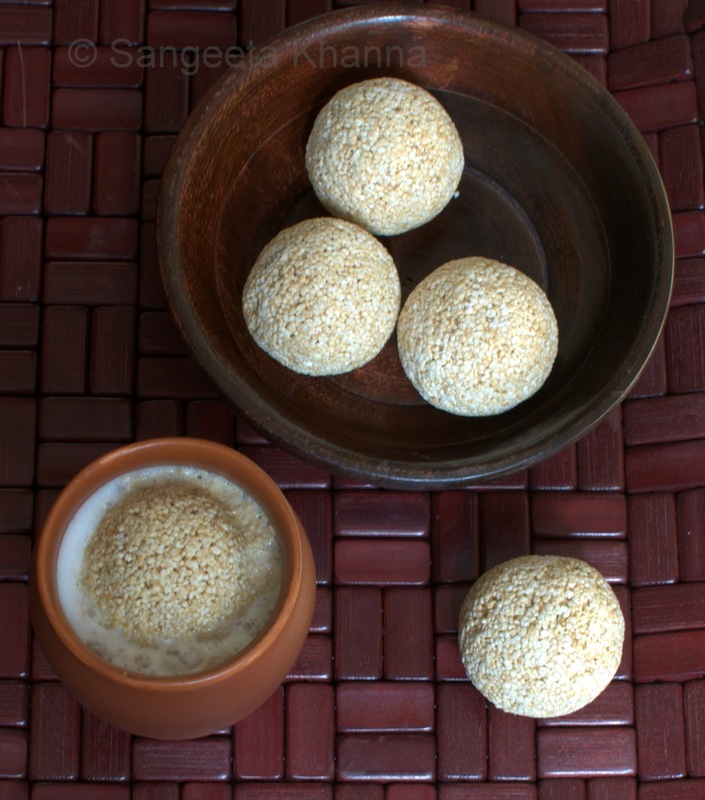 Sweeten it with sugar or honey, or even jaggery if you wish and have warm. I developed a few Vrat ka khana recipes for Leonardo Olive oils. Those recipes are cooked in pure olive oil or seasoned or dressed with extra virgin olive oil. 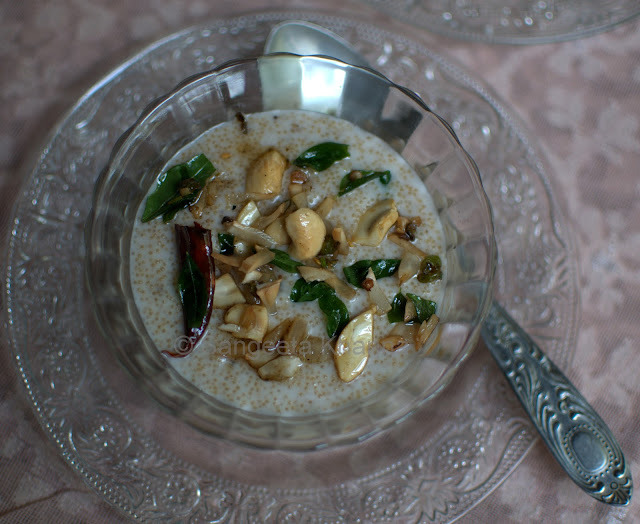 One Amaranth seeds savory porridge or risotto made using coconut milk is one of my favorite recipe among them. You can see the recipe of this savory porridge here at Leonardo facebook page. The perfect way to eat rejuvenating food during the sattvic time of Navratri. Yes even I tried making laddo with popped ramdaana but could never got it right with minimal jaggery like the store bought ones. 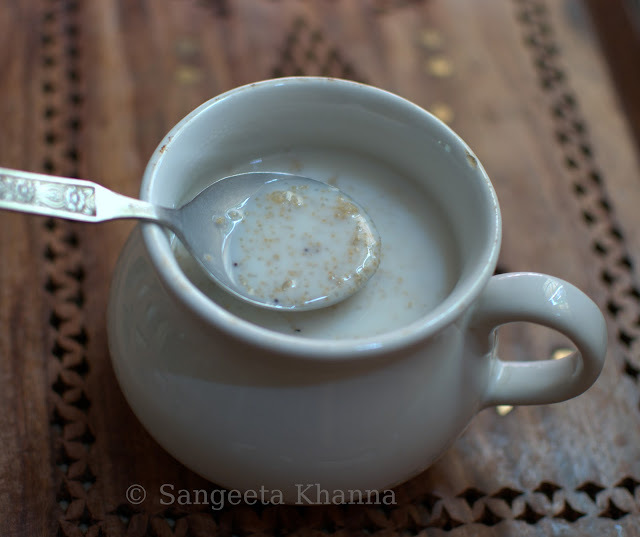 Although I can make the popped ramdaana at home, that can be used directly with milk like a breakfast porridge.. Will share that sometime. wow what a great idea for porridge!!! now to get these laddoos! How do we make the ladoo sangeeta ji? Do we pop the amaranth and mix with jaggery? I cannot find the recipe for it anywhere. Thanks for your blog- it's my favorite food blog ever. Best wishes. Hi Aditi, the raw amaranth seeds are popped in a hot pan or kadhai and then the laddus are made like we make sesame laddu. 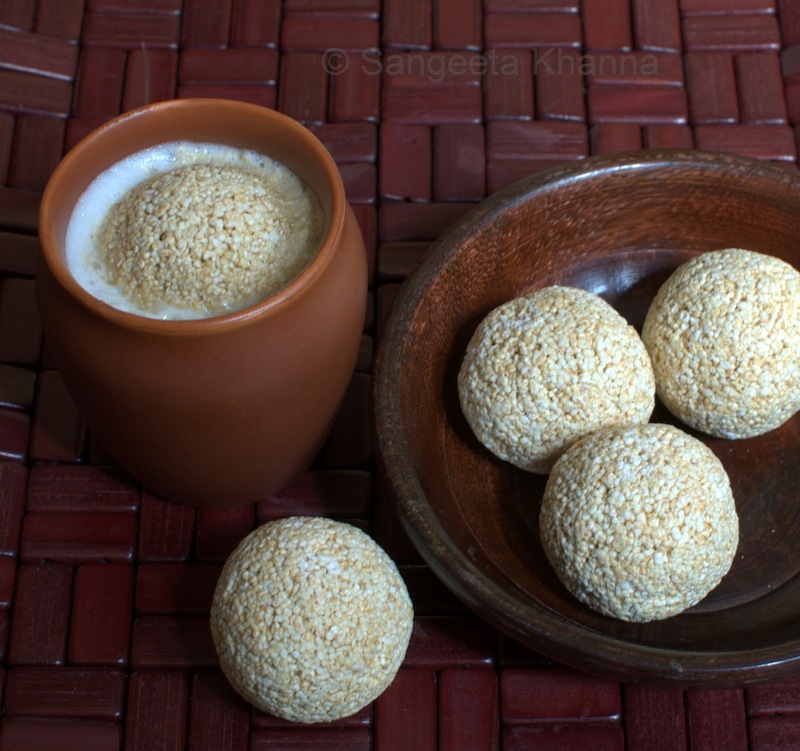 I have posted the recipe for sesame laddu and you can make ramdana laddu too the same way. Will try and post ramdana laddu recipe soon.